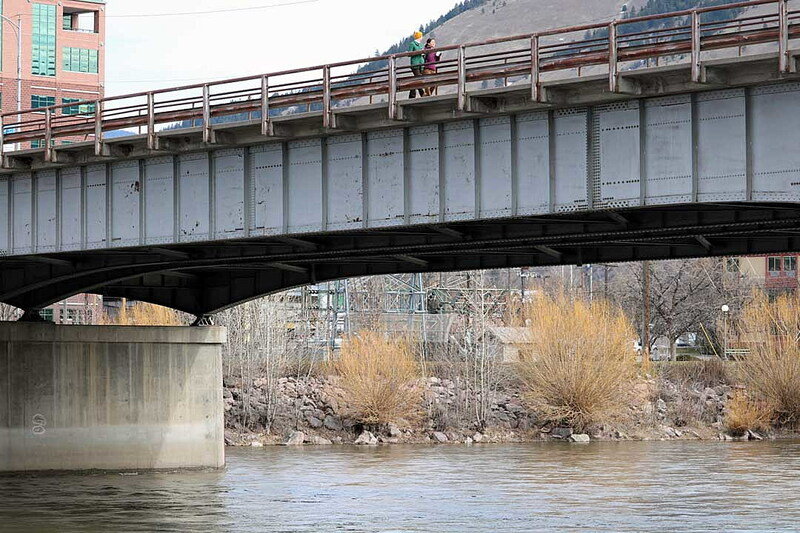 Rivers and streams across western Montana were running high on Monday, with stream gauges managed by the U.S. Geologic Survey reporting new records for this particular day in March. The water was high enough to prompt passersby to stop and take it in. By midday, the Bitterroot River near Missoula was running at 6,730 cubic feet per second – more than double the record set for this day in 2015 when it hit 3,850 cfs. The Clark Fork below Missoula was listed at 13,200 cfs, also above the record set in 1972 when it reached 10,800 cfs. From the Bitterroot River near Darby to Lolo Creek, stream gauges all reported record highs. By the time the Clark Fork wanders up to Plains, gauges are measuring 39,000 cfs. That’s nearly three times the volume of water on the same river below Missoula. Nickless attributed the high March flows to recent rain, with some areas along the Montana-Idaho border picking up more than two inches. Combined with warm temperatures and low-elevation snowmelt, the runoff gained momentum, pushing some rivers and streams toward flood stage. Nickless believes streamflows have likely peaked for the time being. Even with scattered showers predicted over the next week, the cooler temperatures should slow melting and keep the snowpack in place for a few more months. But when temperatures do warm up, he said, the runoff should be impressive.